We had lots of positive feedback about our news feature on the new DL63 Panda Chronograph from EMG Watches, so here is some more information about the brand. EMG is the brainchild of Derek (Chicolabronse) and Eric (goody2141). The pair met through the Watchuseek affordable watches forum, known as F71 to its inhabitants. Neither has a background in watch production, but they both had a good eye for detail and the knowledge of what watch enthusiasts are looking for in a timepiece. It helped that both were avid wristwatch collectors and forum contributors! While discussing ideas for a project watch (Watchuseek sub-forum members regularly produce limited runs of custom timepieces, such as the HKED 1963). 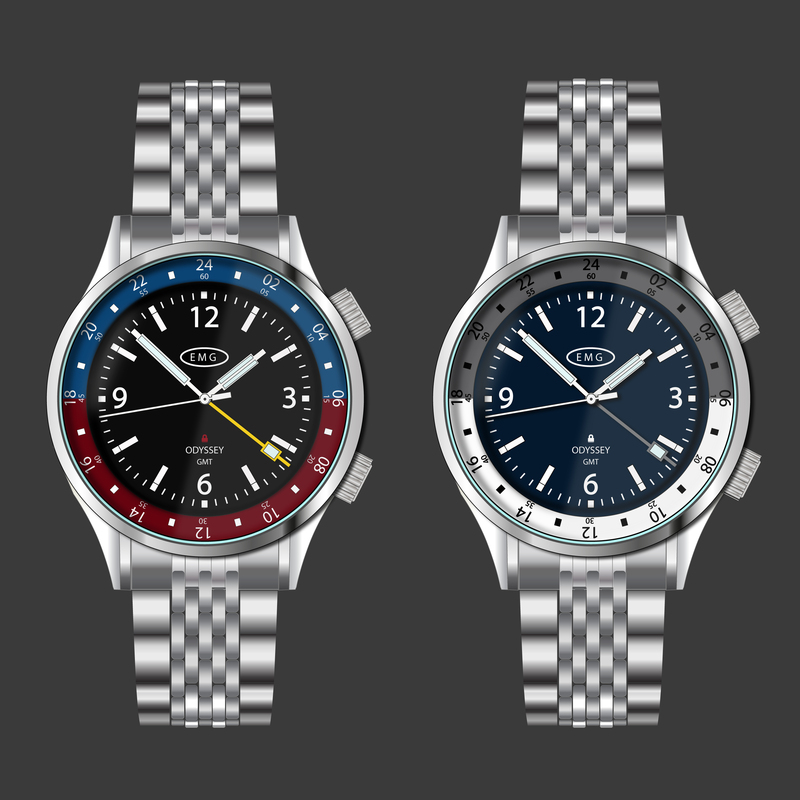 They shared some design concepts, and soon found they shared a common interest in sports watches. Things snowballed from there. Their first design, a dual crown GMT, was put on hold because they lacked the funds to get the project off the ground. They came up with the idea to work with Ed (HKED) to produce a small run of 50 vintage styled chronographs utilising the 42mm Seagull 1963 Reissue as a base. They received sufficient preorders to get a prototype started. 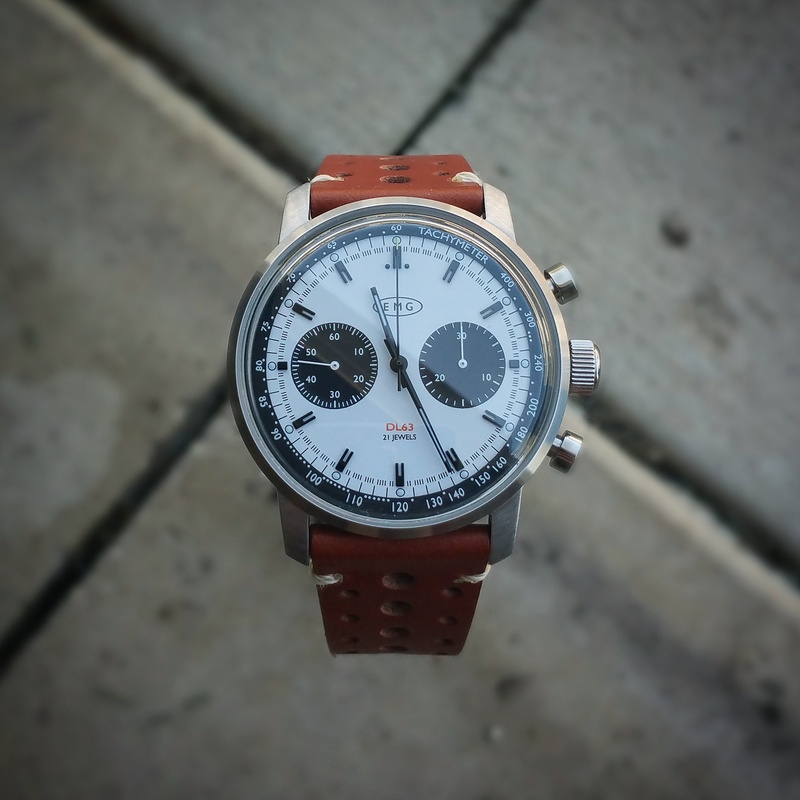 The DL63 Panda Chronograph watch sold out the day after they shared their first prototype photographs. A second run was commissioned due to popular demand. EMG plan to produce a reverse Panda version of the DL63 (black dial with white subdials) which will be released later in the year. The nex new design is the Horizon chronograph which is due to be launched later in 2017. It features a Miyota 6S21 quartz chronograph movement and has a design that borrows heavily from the TAG Heuer Monaco. The brand intends to focus on creating and producing classic chronograph designs. Find out more at the EMG website.